Ever wondered what Silicon Valley is really like? Does every tech CEO wear a hoodie, and is the food at Google actually that good? All kidding aside, there is a certain aura that surrounds the Bay Area. What makes innovation tick inside both a Fortune 500 company and a startup? 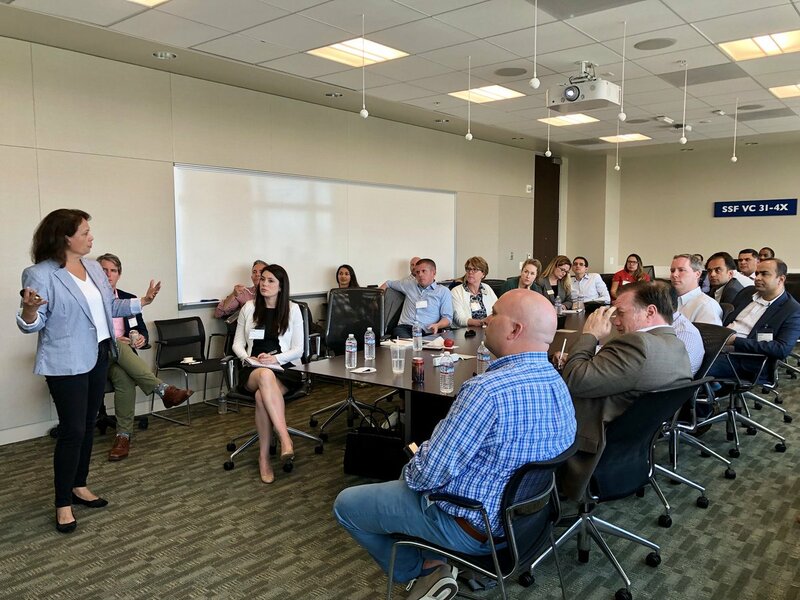 I was fortunate this summer to peek behind the curtain of the Valley in a West Coast Business Practices Immersion hosted by Goizueta Business School in San Francisco. The immersion is a MEMBA elective designed to expose students to technologies, corporations and cultures that have fundamentally restructured business practices in the 21st century. Over the course of four days, we talked with robots, stepped inside a cannabis warehouse, dined at Google (yes, the food is that good) and cooked in a smart kitchen. In total, we visited 12 companies and had unparalleled access to CEOs and other executives. I was star struck sitting across the table from Zander Lurie 99JD/MBA, CEO of SurveyMonkey, who just the day before had filed a draft registration for an Initial Public Offering. Amid such an important day for his company, Lurie spent more than 20 minutes with our group, fielding questions and responding with honest insight. Throughout the week, we heard some of the most forthright and honest confessions from business leaders I have ever witnessed in my career. They opened the floor for frank, informal dialogue and responded with insights into their experiences that you won’t read in Wired. I credit this level of access to the program’s faculty member, Andrea Hershatter, and her ability to tap into Goizueta’s impressive network of alumni who are making waves in Silicon Valley. Every visit was coordinated through a Goizueta alum. 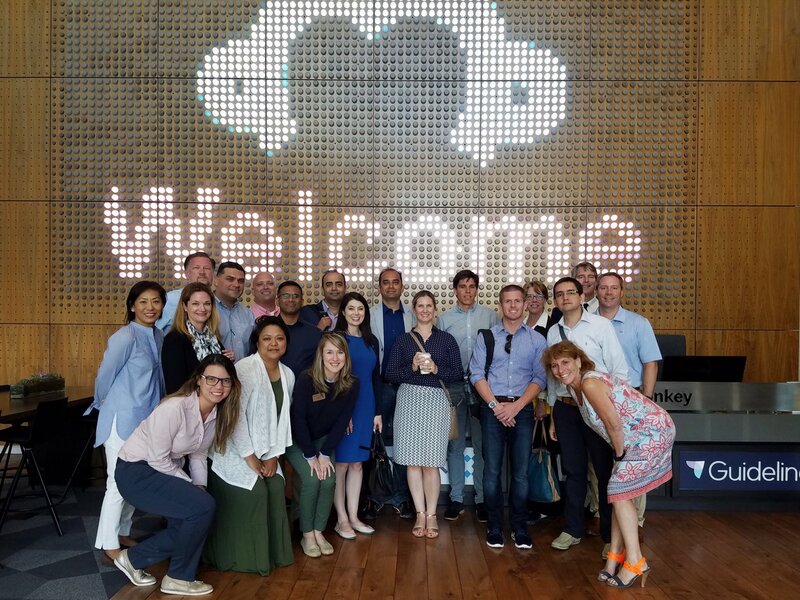 Not only did the trip provide us with unparalleled access to innovative businesses, but we broadened our personal networks far beyond what I expected. Talking to a Goizueta alum in the halls of the LinkedIn offices provided greater value than any network reception I’ve ever attended. This experience has confirmed for me that the faculty and peer interaction truly make an educational program stand apart from others. The merits of this program rest in the perspectives my classmates were able to share with each other, Hershatter’s insight into what is relevant and useful for students, and the power and loyalty of the Goizueta alumni network. The program challenged my thinking about innovation and inspired me to test some new approaches in my own management style. I learned that behind the veil, Silicon Valley is teeming with managers and leaders who are struggling with many of the same challenges as those outside the tech industry, like how to inspire employees, build a cohesive culture and drive profitability in an increasingly global landscape.